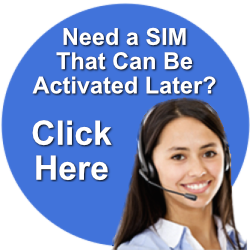 Need a SIM Card to activate later? No problem! We offer free US Postal delivery of unactivated SIM cards to all addresses in the continental United States. There is no charge for SIM cards until they are activated, with the exception that some Thuraya SIM cards have a small upfront charge. Call our customer service department at 615-889-8833 or click here to make the arrangements. Need a SIM Card delivered overnight? We offer FedEx delivery of Iridium, Thuraya and Inmarsat SIM cards to all US addresses through our online store. Use the selections above to navigate to the appropriate SIM card. For more information, please call our customer service department at 615-889-8833.